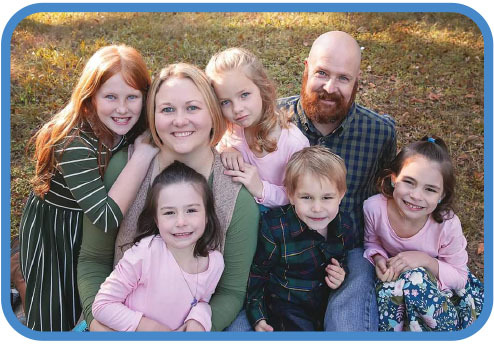 Help our new adoptive families bond by contributing towards a Disney World adventure! $25Mickey ears for one family member. $50One day's beverage and meals cost for a family member. $55Character dining experience for one family member. $100One day park ticket for one family member. $200One night's hotel accommodation for a family of four. $350Roundtrip flight for one family member. $4,500Estimated all inclusive cost for a family of four's 6-day Walt Disney World trip. 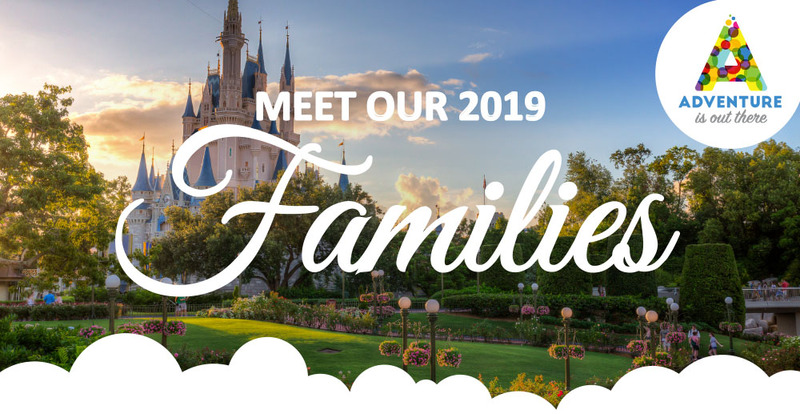 OUR 2019 DISNEY WORLD ADOPTIVE FAMILIES HAVE BEEN SELECTED! After a record number of submissions, our board has reviewed and selected the Blalock, the Lutheran, and the Poppell families to join us on our January 6-12, 2019 trip to Walt Disney World! Please take a moment and get to know each of the amazing family’s below. Kristin, Chad, Asher, Cora and their 2 adopted children James and Esther. Their adoption story is an international one with James and Esther coming from Sierra Leone. Once their adoption was finalized, it took more than 12 months plus unexpected legal/immigration fees to bring them home. This was an emotional strain as they were a family fighting to be united. 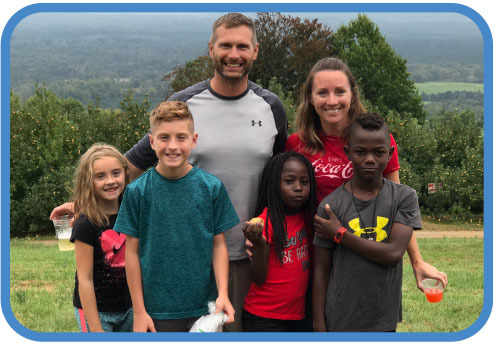 Now with their forever family, James and Esther are gaining confidence, healing from past trauma and continuing the attachment process. This trip to Disney World will be their very first all together. Nicole, Chris, Josie and their adopted twins Kolton and Kaydence. Upon starting the adoption process, Nicole and Chris met and immediately fell in love with the twins. 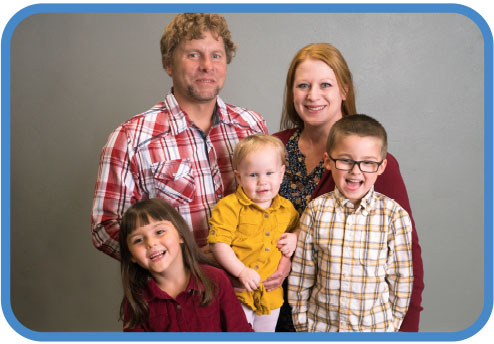 During the 8-month adoption process, Nicole found out she was pregnant, Chris changing jobs to be home each night and the family moved closer to family for support. Kolton and Kaydence are now working through some developmental issues including attachment disorders. A real-world, magical experience to Disney World will help develop a secure attachment to their new family. Rosie, Carl, Lillian, Leilah and their 3 adopted children Addyson, Marley and Grayson. Rosie and Carl selflessly and willingly took care of these children who were placed with them in protective care. They then spent 3+ years advocating, caring and providing for each of the children, all while working towards adoption and keeping them out of the foster care system where they likely would have been split up. This trip will provide opportunities for growth, learning, bonding, and most importantly, a chance for them to create a lasting experience as a family of seven. HELP US ENCOURAGE FAMILY BONDING BY MAKING A DONATION. AIOT has our 2nd ever trip coming up January 6-12, 2019 where we are taking these 3 first-time adoption families on an all expense paid Walt Disney World vacation! Since this is the first visit to WDW for these families, AIOT sets up the travel plans, itineraries and even joins them on the trip to help all figure out the ins and outs of a WDW trip. All so they can maximize their time focusing on each other and bonding with the other families. It is a trip for most families that otherwise might not be possible without the help of AIOT. We are asking you to make a contribution to help fund this upcoming trip. Funds raised will go directly towards the trip to help cover each families airfare, hotel accommodations, park tickets, and food/beverage. To the right are suggested donation amounts for your consideration. Adventure Is Out There is a non-profit 501(c)(3) national organization and your contribution does qualify as a tax deduction. Please consult your tax advisor to determine the deductibility of any contribution. WHO IS ADVENTURE IS OUT THERE (AIOT)? AIOT was started in 2017 to benefit first-time adoption families. Our mission is to advance the education and training of new adoption families while focusing on increasing the welfare of family relationships through Disney and other nurturing experiences that encourage family bonding. WHAT DOES AIOT FOCUS ON? What AIOT focuses on is creating and building family experiences for newly adopted families – not only within their own family but with other adoptive families as well. We do so by awarding family based, all expense paid trips to these families, all from funds raised from our generous donors. WHY ARE THESE FAMILY EXPERIENCES SO IMPORTANT? Signing the adoption decree, while a blessing, is the beginning of emotional challenges to overcome and the unlearning of survival skills that may have been developed because of the past. It's not uncommon for trauma to play a major role in the world of foster and adoption. The American Academy of Pediatrics says, “Assume that all children who have been adopted or fostered have experienced trauma.” The trauma these kids lived with growing up came in many forms such as neglect, abuse, drugs, among others. Understanding this, families who foster and adopt not only invest their time and resources, they open their hearts and homes to help these children overcome this trauma and their everyday challenges.